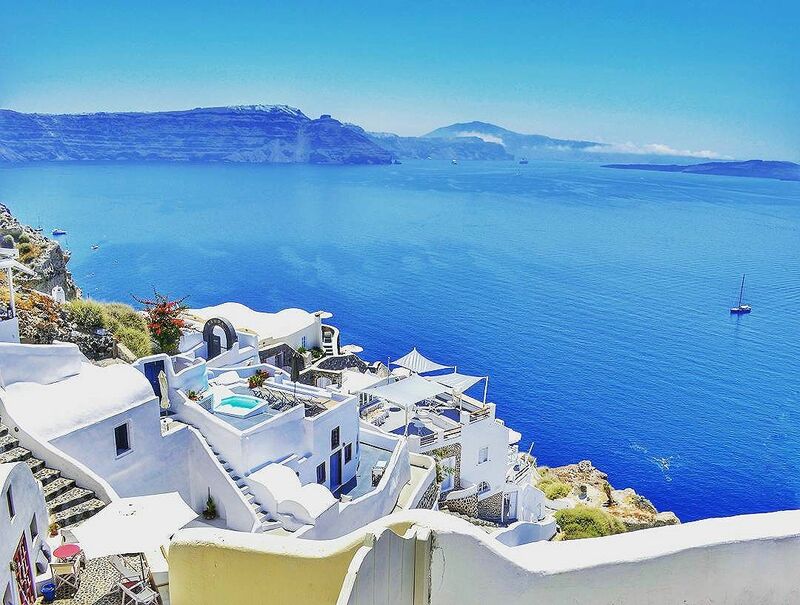 A common question that everyone makes when visiting Thira and Oia, is where are the houses with the blue roof. The truth is that only a few churches have a blue rooftop and most of them are in Oia. The misconception of the blue and white houses is due to the iconic picture from Oia of the three blue domes church with a view to caldera. The pictures of this church have become the brand of Santorini. The same church photographed from different angles is used on almost all brochures or websites advertising Greece and Santorini. Tagged amazinggreece, amazing_greece, athensvoice, caldera, explore, gf_greece, Greece, greecetravelgr1, greece_hero, greece_lovers, hdr_greece, igersgreece, igers_greece, ig_greece, kings_greece, lifo, lifo_greece, mysticgreece, oia, perfect_greece, santorini, ship, super_greece, team_greece, thira, travel_greece, wu_greece. Μικρή έκταση, μεγάλες προσδοκίες, απέραντος θαυμασμός όπως είχα ονομάσει και το άρθρο μου!!! Υπέροχη φωτογραφία φίλε Γιάννη!!! Μου έφερες αναμνήσεις! !